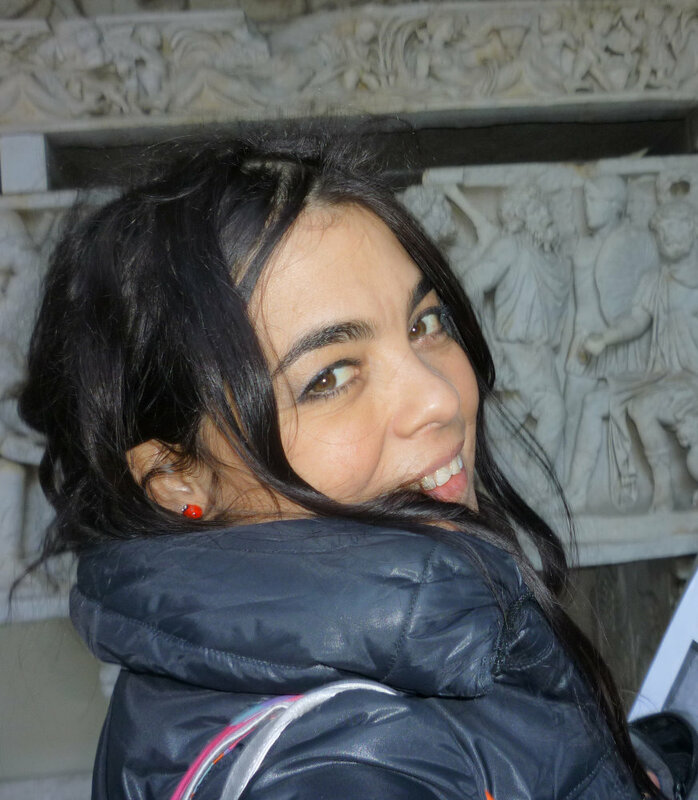 I am a postdoctoral researcher at the Visual Computing Lab ISTI-CNR and I am working in the field of the new technologies used for the documentation, management and enhancement of Cultural Heritage for conservation work and museum exhibitions. I specialised in the study of the ancient colour on the marble surface and on the use of 2D/3D Computer Graphic techniques for the knowledge and the virtual reconstruction of the ancient polychromy. I graduated with honours in Conservation of Archaeological and Architectural Heritage at the University of Pisa with a thesis on Pictures wall of Vesuvian sites: techniques of detachment, conservation and restoration in the 19th century. This work was the result of archival research and year's experience at the Laboratory of Conservation and Restoration of the National Archaeological Museum in Naples. From 2004 to 2010 I was research assistant and supervisor of the thesis of the course Museology and Archaeology at the Department of Archaeological Sciences of the University of Pisa. In 2001 I started the scientific studies by acquiring the professional qualification of Computer Aided Drafting (CAD) technician. In 2003 I specialized in Geographic Information Systems (GIS) at the Engineering Department of the University of Milan (2nd level University Master degree). I have matured these technical skills with working in private and public companies to document and preserve the Cultural Heritage. I have given the lectures in "GIS for Cultural Heritage" at the Advanced School of the University of Udine. Since June 2010 I'm a member of SGFG – Special Group For Geoinformation at the Technical University of Berlin. From 2006 to 2010 I was a scientific member of the LIDA – Computer Science Laboratory for the Art and History Documentation of the University of Udine. Here I worked as a temporary researcher in the coordination and development of several activities of the laboratory. In particular, I was a scientific and technical coordinator of the InfoBC - Computer Science and Web Technologies for the Cultural Heritage: innovative portable and 3D services for cultural tourism project. I cooperated with the Scientific Departments of the Engineering and of Computer Science Faculties of the University of Udine for the creation of geometric 3D models (TLS) and interactive models (X3D/VRML) of historic buildings. From 2006 to 2010 I specialized in 3D terrestrial laser scanning systems by participating at the international higher education courses organized by CISM Lab – International Centre for Mechanical Sciences in Udine (2007 and 2010) and Engineering Department of the University of Udine (2006 and 2009). From 2010 to 2013 I was researching grant at the Scuola Normale Superiore – LARTTE of Pisa for the ArTeSalVa – Architecture, Technology, Protection and Enhancement of the historic buildings in a state of disrepair or underutilized project and at the moment, the collaboration is continuing. On November 2013 I concluded my PhD (2008-2012) about the New technologies for the study of the ancient polychromy in the Roman sarcophagi at the University of Pisa and the Visual Computing Lab ISTI-CNR. Here, from 2013 to 2014, I worked within the EU ARIADNE – Advanced Research Infrastructure for Archaeological Dataset Networking in Europe project. From 2014 to 2016 I worked at the IBAM-CNR of Catania in cooperation with the Visual Computing Lab ISTI-CNR within the EU PON DICET ORCHESTRA – ORganization of Cultural HEritage for Tourism and Real-time Accessibility - Smart Cities project. Since 2007 I participated as a speaker at International/National Conferences, and since 2009 I was invited as an expert to international meetings on the ancient colour study. Since May 2015 I am a member of ASMOSIA – Association for the Study of Marble & Other Stones In Antiquity. On March 2018 I was the winner of the selection procedure for the awarding of no. 5 individual assignments of "Expert in policies and administration of cultural assets and activities" for the creation of an Advisory Board of the Tuscany platform "Technologies-Cultural Heritage and Culture". 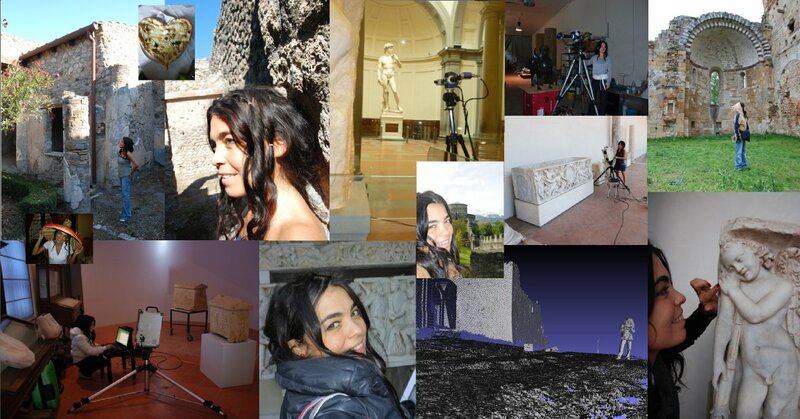 At the Visual Computing Lab of ISTI-CNR I deal mainly with terrestrial systems for the semiautomatic 2D/3D acquisition of the shape and colour of the Cultural Heritage and I am studying the ancient colour of Roman sarcophagi for its documentation and scientific virtual reconstruction. Currently, two books about my current research topics are being printed. I also a selected member of the Advisory Board of the Tuscany platform "Technologies-Cultural Heritage and Culture" and I provide specialized support in identifying the need for innovation and new technologies for the management of Tuscany Cultural Heritage. 2013. "MeshLab and Blender: open source tools to support the study and virtual reconstruction of ancient polychromy" has been selected as Best Paper Award at the ArcheoFOSS 2013 Conference and it has been selected for publication in ACM Journal on Computing and Cultural Heritage - JOCCH. 2003. Europe Scholarship Award within the 2nd level University Master degree in Geographic Information Systems (800 hours, 60 credits) achieved at the Institute of Agrarian Engineering at the University of Milan, Italy. E. Siotto, La Policromia sui sarcofagi romani. Catalogo e risultati scientifici (foreword by Guntram Koch), Studia Archaeologica 220, L'Erma di Bretschneider, Roma 2017 (ISBN 978-88-913-1589-2). P. Pingi, E. Siotto, G. Palma, R. Scopigno, Documentazione e analisi delle deformazioni del supporto ligneo e della superficie pittorica mediante rilievo 3D in M. Ciatti, C. Frosinini (eds.) Il restauro dell'Adorazione dei Magi. La riscoperta di un capolavoro, Problemi di Conservazione e Restauro, EDIFIR-OPD E240282, Firenze 2017, pp. 281-286 (ISBN 978-88-7970-839-5). E. Siotto, G. Palma, R. Scopigno, Development of the interactive system 'digital Loggia' in A. Sgamellotti, G. Caneva (eds.) The Loggia of Cupid and Psyche - Raffaello and Giovanni da Udine - Colours of prosperity: Fruits from the Old and New World, exhibition catalogue, Rome April 20th - July 20th 2017, Bardi Edizioni, Rome 2017, pp. 74-77 (ISBN 978-88-948-10-097). E. Siotto, G. Palma, R. Scopigno, Realizzazione del sistema interattivo ‘Loggia digitale’ in A. Sgamellotti, G. Caneva (a cura di) La Loggia di Amore e Psiche - Raffaello e Giovanni da Udine - I colori della prosperità: Frutti dal Vecchio e Nuovo Mondo, catalogo mostra, Roma 20 aprile - 20 luglio 2017, Bardi Edizioni, Roma 2017, pp. 74-77 (ISBN 978-88-948-1008-0). E. Siotto, Tecnologie digitali per conoscere e comunicare in D. La Monica (ed), Usi e riusi di alcuni immobili storici in Toscana, Aracne, Ariccia (RM) 2015, 303-330 (ISBN 978-88-548-7704-7). P. Pingi, E. Siotto, M. Callieri and R. Scopigno, Dallo stato di rudere alla realta' virtuale in D. La Monica (ed), La Badia Camaldolese di Volterra. Storia e Usi, Aracne, Ariccia (RM) 2014, 227-243 (ISBN 978-88-548-7955-3). E. Siotto and D. Visintini, 3D texture modeling of an important cycle of Renaissance frescoes in Italy in H.G. Bock, W. Jager and M.J. Wincler (eds), Scientific Computing for Cultural Heritage. Contributions in Mathematical and Computational Sciences, vol. 3, Springer, University of Heidelberg, Heidelberg 2013, 229-238 (ISBN 978-3-642-28020-7). E. Siotto, Identification of gilding techniques on Roman marble sarcophagi in Journal of Cultural Heritage, 2019, pp. 1-9. Available online 15 January 2019, In Press (ISSN 1296-2044). G. Palma, P. Pingi, E. Siotto, R. Bellucci, G. Guidi, R. Scopigno, Deformation analysis of Leonardo da Vinci's “Adorazione dei Magi” through temporal unrelated 3D digitization in Journal of Cultural Heritage, 2019, pp. 1-12. Available online 25 January 2019, In Press (ISSN 1296-2044). E. Siotto, C. Baracchini, U. Santamaria, R. Scopigno, Sperimentazione del Sistema Ministeriale SICaR w/b per la gestione e la consultazione informatizzata dei dati sulla policromia in Archeologia e Calcolatori, vol. 27, 2016, 131-151 (ISSN 1296-2044). E. Siotto, Musealizzazione di un dipinto pompeiano: la Venere nella Conchiglia in Rivista di Studi Pompeiani, XXVI-XXVII, L’Erma di Bretschneider, 2015/2016, 73-80 (ISSN 1120-3579). E. Siotto, M. Callieri, M. Dellepiane, R. Scopigno, Ancient polychromy: study and virtual reconstruction using open source tools in ACM Journal on Computing and Cultural Heritage (JOCCH), Vol. 8 Issue 3, May 2015, Article No. 16 (ISSN 1556-4673). E. Siotto, M. Dellepiane, M. Callieri, R. Scopigno, C. Gratziu, A. Moscato, L. Burgio, S. Legnaioli, G. Lorenzetti, V. Palleschi, A multidisciplinary approach for the study and the virtual reconstruction of the ancient polychromy of Roman sarcophagi in Journal of Cultural Heritage, Vol. 16, Issue 3, May-June 2015, 307-314 (ISSN 1296-2044). S. Settis, R. Scopigno, D. La Monica, L. Benassi, A. Parri, E. Siotto, Nuove metodologie per il recupero degli immobili storici in stato di degrado in Gazzetta Ambiente, XVIII, n. 3, 2012, 137-143 (ISSN 1123-5489). E. Siotto, Tecniche di stacco, trasporto, foderatura ed incassatura dei “quadretti” parietali dei siti vesuviani nell’Ottocento, alla luce di documenti inediti in Rendiconti Accademia Nazionale dei Lincei (introduction by S. Settis), serie IX, vol. XVIII, fasc. 1, Bardi Editore, Roma 2007, 119-154 (ISSN 0391-8181). E. Siotto, Considerazioni su un intervento recente al “quadro” parietale della Venere nella Conchiglia in Rivista di Studi Pompeiani, XVII, L’Erma di Bretschneider, 2006, 79-87 (ISSN 1120-3579). E. Siotto, GIS applications for the control and management of Cultural Heritage: The archaeological map of the Comune of Camaiore (Lucca) in Archaeological Computing Newsletter – Supplement to Archeologia e Calcolatori – n. 63, Insegna del Giglio, Firenze 2005, 14-20 (ISSN 0952-3332). E. Siotto, “Quadretti” parietali dei siti vesuviani: la questione delle vernici nella seconda metà dell’Ottocento in Rivista di Studi Pompeiani, XV, L’Erma di Bretschneider, 2004, 77-88 (ISSN 1120-3579). M. Cavalieri, S. Landi, D. Manna, M. Giamello, C. Fornaciari, S. Bracci, G. Palma, E. Siotto, R. Scopigno, Analisi dei frammenti di sectilia vitrei dalla villa romana di Aiano-Torracciadi Chiusi (SI) e studio della tecnica d’esecuzione in Atti del XXIV Colloquio AISCOM dell’Associazione Italiana per lo Studio e la Conservazione del Mosaico, Este 14-17 marzo 2018, Edizioni Quasar, Roma, 2019, pp. 543-554 (ISBN c.s.). E. Siotto,The use of colour in Roman marble sarcophagi, in (ed.) Katja Marasović ASMOSIA XI: the 11 International Conference of the Association for the Study of Marble & Other Stones in Antiquity, Split May 18th-22th 2015, Split, Croatia, 2018, pp. 695-704 (ISBN ISBN 978-953-6617-49-4 and 78-953-6116-75-1). E. Siotto, G. Palma, M. Potenziani, R. Scopigno, A Web-based system for data integration and visualization of the ancient colour in (eds.) S. Bracci, G. Giachi, P. Liverani, P. Pallecchi, F. Paolucci, Polychromy in Ancient Sculpture and Architecture, Proceedings of the 7th Round Table - Florence, 4th-7th November 2015, Sillabe, Livorno, 2018, pp. 183-189 (ISBN 978-88-8347-997-7). E. Siotto, M. Callieri, M. Dellepiane, R. Scopigno, MeshLab e Blender: software open source in supporto allo studio e alla ricostruzione virtuale della policromia antica in (eds.) F. Stanco e G. Gallo, Free, libre and open source software e open format nei processi di ricerca archeologica: VIII Edizione Catania 2013, Archaeopress, 2016, 210-219 (ISBN 9781784912598). E. Siotto, G. Palma, M. Potenziani, R. Scopigno 2015. Digital study and Web-based documentation of the colour and gilding on ancient marble artworks, in (eds.) R. Scopigno and G. Guidi, Digital Heritage International Congress 2015, Granada Sept.28-Oct.2, Vol. 1, IEEE, 2015, 239-246 (ISBN 978-1-5090-0047-0). E. Siotto, M. Callieri, M. Dellepiane and R. Scopigno, The Ulpia Domnina's sarcophagus: preliminary report about the use of digital 3D model for the study and reconstruction of the polychromy in (eds.) P. Pensabene and E. Gasparini, ASMOSIA X – Association for the Study of Marble and Other Stones In Antiquity, Rome May 21th-26th 2012, L'Erma di Bretschneider, Roma 2015, 911-922 (ISBN 978-88-913-0770-5). E. Siotto, M. Callieri, P. Pingi, R. Scopigno, L. Benassi, A. Parri, D. La Monica, A. Ferrara, From the archival documentation to standardised web database and 3D models: the case study of the Camaldolese Abbey in Volterra (Italy) in CHNT 18 – International Conference on Cultural Heritage and New Technologies, November 11-13 2013, Wien 2014 (ISBN 978-3-200-03676-5). G. Palma, E. Siotto, M. Proesmans, M. Baldassarri, C. Baracchini, S. Batino, R. Scopigno, Telling the Story of Ancient Coins by means of Interactive RTI Images Visualization in CAA 2012 – Computer Applications and Quantitative Methods in Archaeology, Southampton March 26th-29th 2012, Amsterdam 2013, 177-185 (ISBN 978-90-8964-6637). S. Batino, M. Callieri, D. Duranti, M. Dellepiane, P. Pingi, E. Siotto, R. Scopigno, Virtual reconstruction of an Etruscan tomb in CHNT 17 – Conference on Cultural Heritage and New Technologies, November 5th-7th 2012, Wien 2013, 1-13 (ISBN 978-3-200-03281-1). A. Parri, L. Benassi, D. La Monica, E. Siotto, M. Callieri, P. Pingi, R. Scopigno, The reconversion of Italian fortresses through the use of modern tools in (ed.) C. Gambardella, XI International Forum of Studies Le Vie dei Mercanti, Capri June 13th-15th 2013, La Scuola di Pitagora Ed., Napoli 2013, 114-122 (ISBN 978-88-6542-290-8). L. Benassi, A. Parri, E. Siotto, M. Callieri, P. Pingi, R. Scopigno, Knowledge, science and enhancement of historical decaying buildings in Tuscany. The ArTeSalVa project, in (eds.) R. Amoeda, S. Lira and C. Pinheiro, HERITAGE 2012: 3rd International Conference on Heritage and Sustainable Development, Porto June 19th-22th 2012, Vol. 3, 2012, 1701-1710 (ISBN 978-989-95671-8-4). L. Chittaro, L. Ieranutti, R. Ranon, E. Siotto, D. Visintini, A High-Level Tool for Curators of 3D Virtual Visits and its Application to the Virtual Exhibition of Renaissance Frescoes in VAST 2010: the 11th International Symposium on Virtual Reality, Archaeology and Cultural Heritage, Paris September 21th-24th 2010, Eurographics Association, Germany 2010, 147-154 (ISBN 978-3-905674-29-3). D. Visintini, E. Siotto, E. Menean, 3D Modeling of the St. Anthony Abbot Church in S. Daniele del Friuli (I): from laser scanning and photogrammetry to WRML/X3D model in 3D-Arch: 3D Virtual Reconstruction and Visualization of Complex Architectures, ISPRS (International Society of Photogrammetry Remote Sensing & Spatial Inform Sciences), Trento February 25th-28th 2009, Italy, Vol. XXXVIII, Part 5/W1, 2009, 1-8. E. Siotto,The use of colour in Roman marble sarcophagi in Katja Marasović (Ed. ), ASMOSIA XI, Split May 18-22 2015, Split, Croatia, 2015, pp. 241-242 (ISBN 978-953-6116-60-7). E. Siotto, Roman sarcophagi, use and reuse: application techniques of the colour and repainting, in J.S. Østergaard (Ed. ), Tracking colour – The polychromy of Greek and Roman sculpture in the Ny Carlsberg Glyptotek Preliminary Report 5, 2013, presented at the 5th International Round Table on Greek and Roman Sculptural and Architectural Polychromy, Athens, 7th–8th November 2013, Copenhagen 2014, 103. E. Siotto, L. Benassi, A. Parri, M. Callieri, P. Pingi, D. La Monica, R. Scopigno, Multidisciplinary experience to study same cases of reuse of Tuscany architectural heritage in J. Turec (Ed.) 19th Annual Meating of the European Association of Archaeologists, University of West Bohemia in Pilsen, 2013, 242 (ISBN 978-80-261-0255-7). E. Siotto, Preliminary report about the use of digital 3D model to study and reconstruct the polychromy of the Ulpia Domnina’s sarcophagus, in J.S. Østergaard (Ed. ), Tracking colour – The polychromy of Greek and Roman sculpture in the Ny Carlsberg Glyptotek Preliminary Report 4, 2012, presented at the 4th International Round Table on Greek and Roman Sculptural and Architectural Polychromy, Frankfurt am Main, 13–14 September 2012, Copenhagen 2013, 105-106. E. Siotto, M. Callieri, M. Dellepiane, R. Scopigno 3D model of the sarcophagus of Ulpia Domnina: rendering of stored ancient color and virtual revival of original polychromy in P. Pensabene (Ed. ), ASMOSIA X, Università di Roma "La Sapienza", Roma 2012, 233. E. Siotto, Needs for standardization in the publication and sharing of analytical result on the ancient polychromy of the Roman relief in 4th Workshop of SGFG – Special Group For Geoinformation, BTU Cottbus, 25th June 2010, Berlin 2010. E. Siotto, Esigenze di standardizzazione della ricerca e documentazione attraverso le nuove tecnologie in I Colori di Augusto: policromia dei monumenti antichi (Eds.) P. Liverani and O. Rossini, auditorium Ara Pacis Augustae, Rome March 11th 2009, Rome 2009. D. Visintini, E. Siotto, E. Menean, Dalle misure laser scanning e fotogrammetriche al modello VRML/X3D della Chiesa di Sant’Antonio Abate a San Daniele del Friuli (UD) in SIFET – Società Italiana di Fotogrammetria e Topografia: Dalle misure al modello digitale, Mantova June 24th-26th 2009, Arti Grafiche Pisano, Cagliari 2009, 92-93. E. Siotto, D. Visintini, E. Menean, L. Ieronutti, R. Ranon, The 3D Virtual Model of an important cycle of Renaissance frescoes in Italy shown within the framework of the SGFG-Group at the Long Night of Sciences which took place in the Technische Universität Berlin, Berlin May 28th-29th 2011. E. Siotto and D. Visintini, 3D texture modeling of an important cycle of Renaissance frescoes in Italy shown in the 2nd Conference SCCH ’09 – Scientific Computing and Cultural Heritage in Heidelberg University, Heidelberg November 14th-16th 2009.